Watching Sarnia’s Priscilla Gagné move in a judo fight you’d never suspect she’s blind. Her maneuvers are smooth; her throws textbook. But that’s the thing about judo, she explains. It’s a sport in which the visually impaired can compete right alongside sighted judokas. “I love it,” said Gagné, 32. “You train with able-bodied and you just get better and better, and it’s exhilarating to see that there’s finally something I can do at the same level. Gagné recently put her training to the test last month in Calgary, where The International Blind Sports Federation combined its Pan-American Championships with the Canadian Open. She claimed Pan Am gold for Canada and earned her first major title of 2018. Gagné won all three of her fights in the round robin, which took place at Calgary’s Olympic Oval over the May long weekend. It marked Gagné’s second career medal at the meet, and it was historic for other reasons. The event ran in tandem with Pan-American Championships of Judo, the able-bodied equivalent. 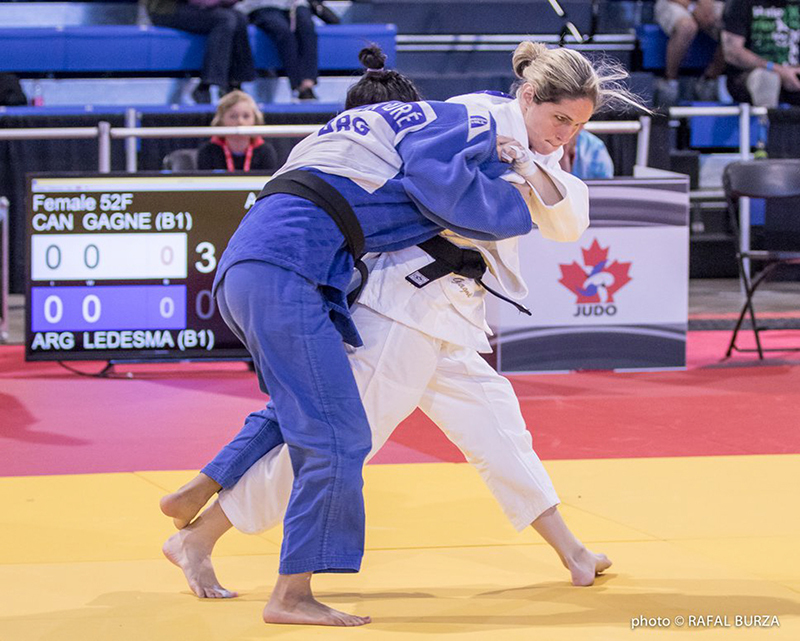 “It makes me happy to be a part of Judo Canada … when they value us enough to combine the two events,” said Gagné, who believes it was a first for the sport. The gold and points she acquired will count toward reaching her ultimate goal — representing Canada at the 2020 Paralympic Games in Tokyo. She finished fifth at the 2016 Rio Paralympics. Gagné was born with retinitis pigmentosa, a visual impairment that affects her central vision. In sports she’s classified as B1, the most severe level. She said she has “slivers” of eyesight peripherally. The rules vary slightly for blind judokas. For example, opponents start with identical grips on each other – one hand on the lapel and one hand on the sleeve. Gagné isn’t sure if her senses are heightened but she can often anticipate an opponent’s next maneuver, she said. 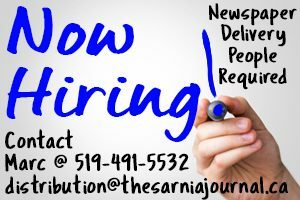 She was born in Quebec and moved to Sarnia at the age of three. She started as a wrestler and switched to judo. Her early years were under the guidance of Sarnia sensei Bob Sing, who teaches out of the YMCA. Gagné said Sing took her under wing and gave her one-on-one time after practice. “He took so many falls for me,” she said, adding all he asked for in return was that she do well in judo. Now living and training in Montreal, she plans to stop competing after the 2020 Paralympics to focus on recruiting other blind athletes. Combined events, like the one in Calgary, will help, she said.